"There Is No Paradise Without Sacrifice!" Fox Unveil New Poster For Epic TV Series 'TERRA NOVA'! 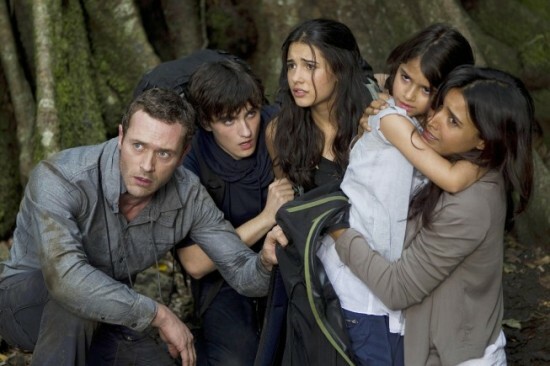 Executive-produced by Steven Spielberg, Terra Nova opens big with a two-hour series premiere on Monday, Sept 26th. The latest round of promotional art has been released and TVLine has a good look at the show's official poster. The sci-fi series follows an ordinary family, the Shannons, back in time to prehistoric Earth as part of an experiment to save mankind. Hit the jump for the details. 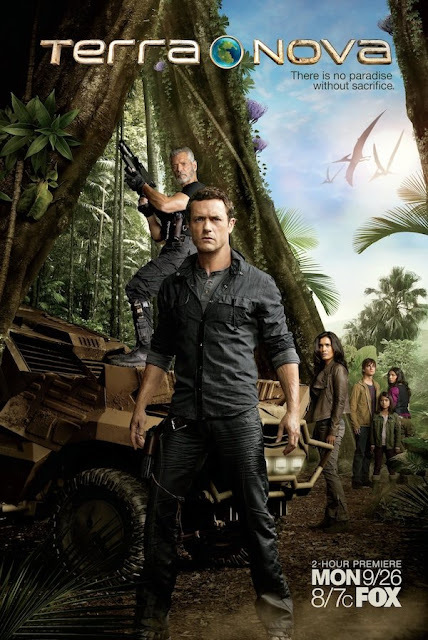 Synopsis: "Terra Nova begins in the year 2149, a time when all life on planet Earth is threatened with extinction. In an effort to save the human race, scientists develop a time machine allowing people to travel 85 million years back in time to prehistoric Earth. The Shannon family (father Jim, his wife Elisabeth, and their three children Josh, Maddy and Zoe) join the tenth pilgrimage of settlers to Terra Nova, the first human colony on the other side of the temporal doorway. However, they are unaware that the colony is in the middle of a group of carnivorous dinosaurs." Here is a recap of the first teaser released back in May. I'm reading: "There Is No Paradise Without Sacrifice!" Fox Unveil New Poster For Epic TV Series 'TERRA NOVA'!Tweet this!